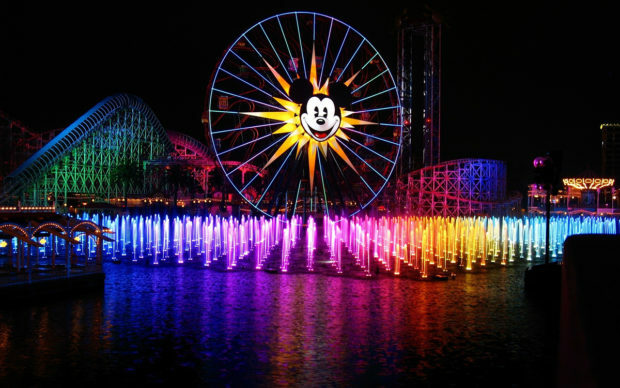 Walt Disney’s vision of a place for parents and children to have fun together, Disneyland Resort, opened in Anaheim, CA in 1955, and it changed the amusement park industry forever. Today, the Disneyland Resort is spread over 100 acres and consists of two theme parks: the original Disneyland Park – the only theme park designed and built to completion under the direct supervision of Walt Disney – and the Disney California Adventure Park, an homage to the state of California. There is also an entertainment, dining and shopping district called Downtown Disney. Completing the resort are three on-site hotels: Disney’s Grand Californian Hotel & Spa, Disney’s Paradise Pier Hotel and the Disneyland Hotel. You might think that Disneyland is just another version of Walt Disney World, except in miniature. These two pre-eminent Disney destinations do have a lot in common, but there are also very significant differences. The Disneyland Resort is much more intimate, and very walkable. The hotels are within walking distance of the theme parks (Disney’s Grand Californian Hotel even has its own entrance right into Disney California Adventure Park, and the entrance gates to both parks are separated by about 100 yards). 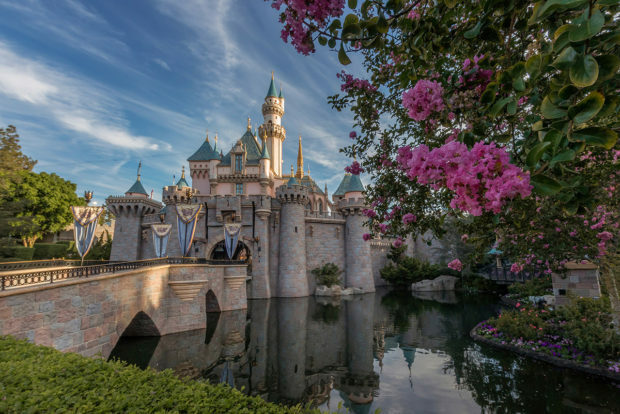 It’s a much simpler vacation to plan and because you can feasibly see it all in 3-5 days, Disneyland Resort is typically less expensive to visit than Walt Disney World. 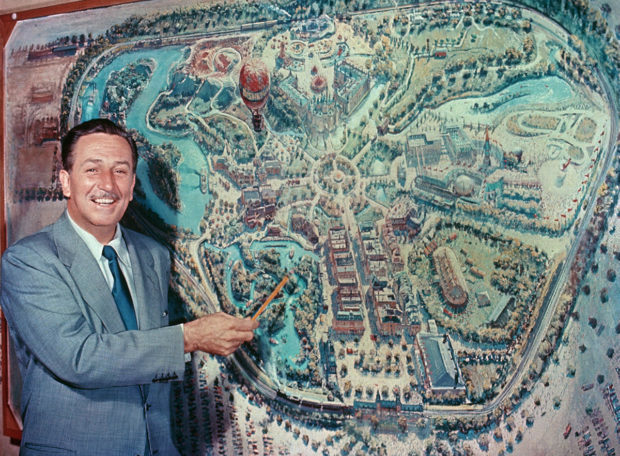 The Magic Kingdom at Walt Disney World was based on the Disneyland Park, so they share similar layouts and attractions. But, even when the two parks share attractions, there are frequently differences. For instance, Splash Mountain and Pirates of the Caribbean at Disneyland are longer and have more involved storylines than their counterparts at Disney World. Disneyland Park has eight lands arranged around a central hub (similar to Disney World). Main Street connects the entrance to the central hub. Around the hub are Adventureland, Frontierland, Fantasyland, and Tomorrowland. The remaining areas are reached by passing through the lands located on the hub. New Orleans Square and Critter Country are located behind Adventureland and Mickey’s Toontown is found by passing through Fantasyland. Beginning May 31, the much anticipated, Star Wars: Galaxy’s Edge will open at Disneyland Park. 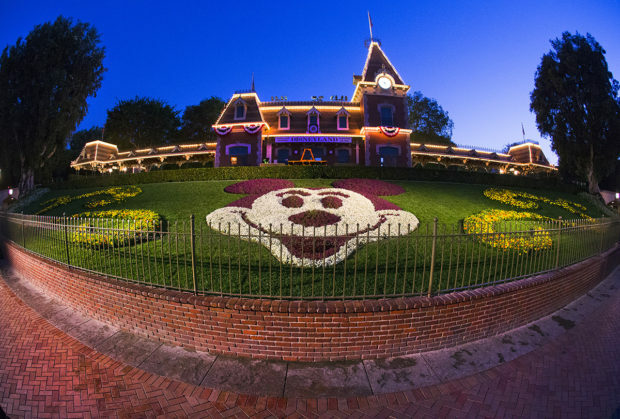 All nine of the attractions that opened in 1955 are still running: Autopia, Jungle Cruise, King Arthur Carrousel, Mad Tea Party, Mark Twain Riverboat, Mr. Toad’s Wild Ride, Peter Pan’s Flight, Snow White’s Scary Adventures and Storybook Land Canal Boats. Walt Disney maintained a private apartment above the fire station at City Hall on Main Street. It is still there today, looking much the same as in Walt’s time. You’ll see a lamp in the window facing the street. 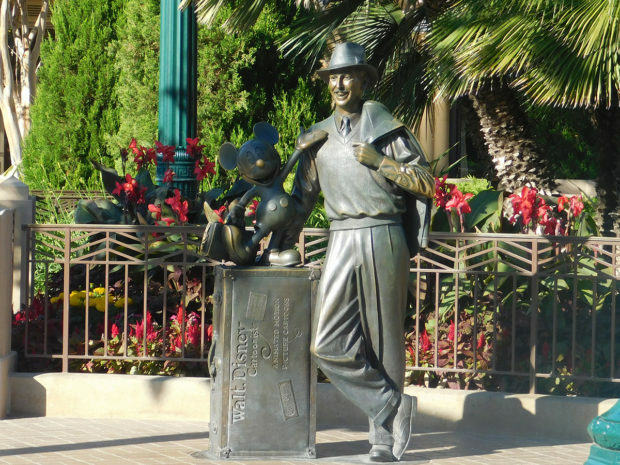 It is kept on continuously as a tribute to Walt’s creation of Disneyland. Indiana Jones Adventure: Adventureland. Based on the Indiana Jones series of films, this motion-simulator ride is nonstop action with brilliant visual effects. 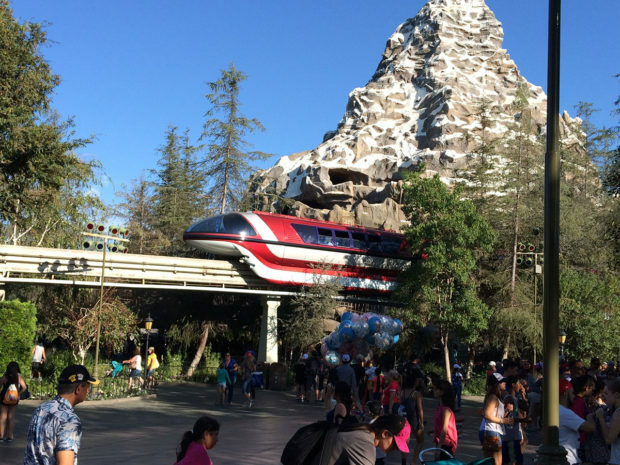 Matterhorn Bobsleds: Fantasyland. Open since 1959, this roller-coaster with an alpine motif is an iconic Disney attraction. Watch out for surprise appearances by the notorious Yeti. Finding Nemo Submarine Voyage: Tomorrowland. 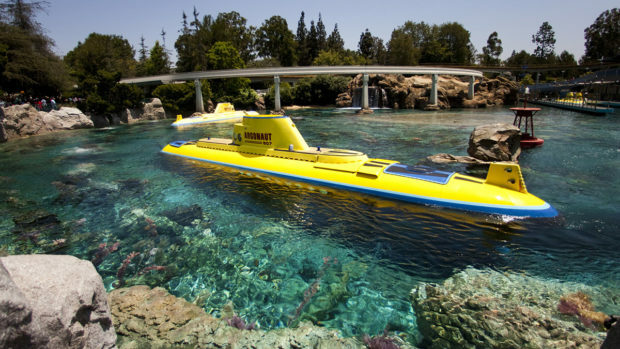 A simulated submarine ride based on the Disney-Pixar animated feature Finding Nemo. Pirates of the Caribbean: New Orleans Square. Even if you’ve seen the Disney World version, don’t miss Disneyland’s. This original is far longer and more detailed than its Florida relative. Disney California Adventure opened in 2001 to generally lackluster reviews. But, in 2012, DCA (as it’s referred to by the locals) underwent an extreme makeover. Disney’s Imagineers scoured every inch of DCA, injecting charm, character and originality in every nook, cranny and corner. The highlight is the entryway that’s a nostalgic re-creation of Walt Disney’s beginnings in Hollywood in the 1920s. 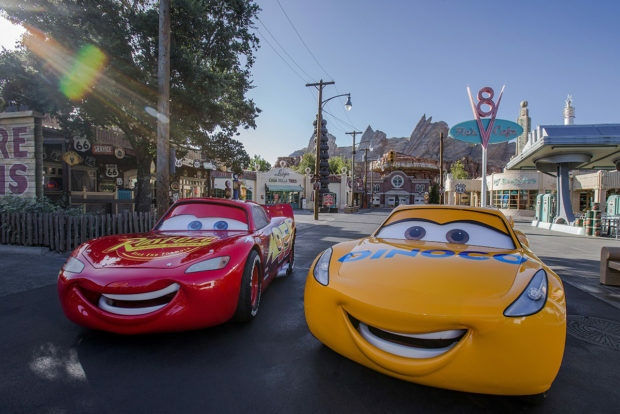 With the additional of Cars Land, based on Pixar’s film, Cars, Disney California Adventure rivals its older sibling for just plain fun. 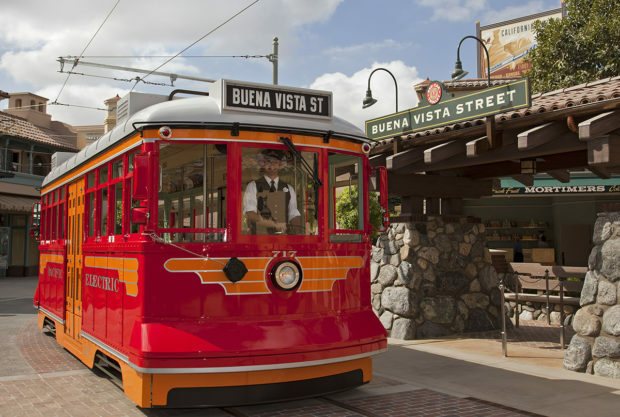 There are seven themed lands at DCA: Buena Vista Street, the first land as you pass through the entrance turnstiles, is a re-creation of 1920s Hollywood. Then there is Hollywood Land, celebrating California’s history as the movie-making capital of the world, Grizzly Peak, a recreation of northern California’s rolling hills and redwood forests, Pacific Wharf, reminiscent of Monterey’s Cannery Row, Paradise Gardens Park, a nostalgic look at seaside amusement parks of the early 20th century, Pixar Pier, home to Pixar characters and finally Cars Land which recreates the town of Radiator Springs. Grizzly River Run: Grizzly Peak. A whitewater raft ride like no other, Grizzly River Run features a 50-foot climb and two drops – including a 22-footer where the raft spins as it descends. Guardians of the Galaxy – Mission: BREAKOUT! : Hollywood Land. Formerly the Tower of Terror, this ride, based on the Guardians of the Galaxy films, is shorter, faster and more intense than the Tower of Terror. Radiator Springs Racers: Cars Land. Settle into a six passenger convertible for a scenic tour of Ornament Valley and Radiator Springs (a la Disney dark ride) on your way to a high speed race over camel hills, under outcrops and around banked curves. A hoot from start to finish. World of Color: Paradise Gardens Park. A larger, more elaborate, Disney-fied version of the Bellagio fountain show in Las Vegas. The show incorporates clips from Disney films that are projected on surfaces of sprayed water. 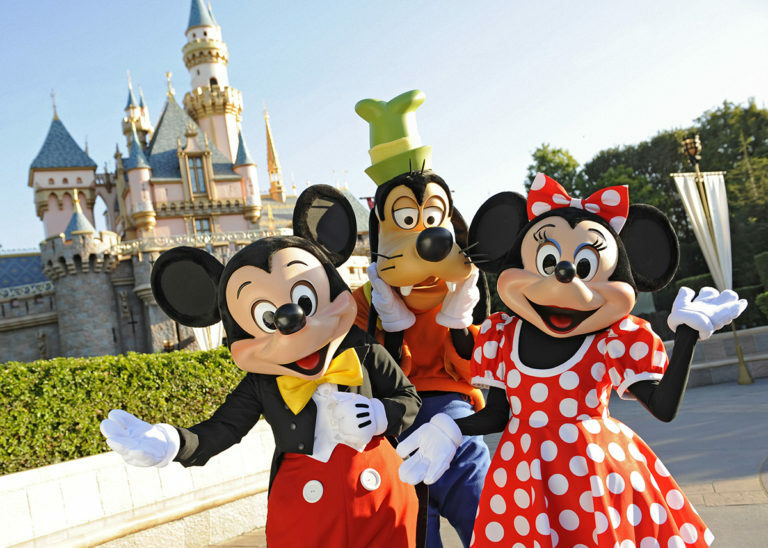 Disneyland tickets operate somewhat differently than tickets for Walt Disney World. You can get a one park per day or a park hopper ticket (more than one park per day), but only up to 5 days. 1-Day tickets are priced by tiers – Value, Regular, and Peak – depending on the time of year. Multi-day tickets expire 13 days after first use. At the expiration day, unused days are lost. And, unlike Disney World, unused tickets will expire! You’ve got around 18 months to two years from date of purchase to use them. You won’t find biometric scanners at Disneyland so to prevent the after-market sale of unused ticket days Disneyland takes a photo of the ticket holder of a 3-day or longer ticket to make sure the same guest uses the same ticket each day. Disneyland doesn’t have Disney World’s FASTPASS+ system where you can make those FASTPASS reservations in advance. Disneyland does FASTPASS old school – with FASTPASS kiosks in front of available attractions. MaxPass, a paid add-on that allows you the ability to make FASTPASS reservations on your phone, is available at Disneyland though. This is NOT an advanced reservation system – with MaxPass you are only able to make a FASTPASS reservation after your tickets have been scanned and you enter the park. Don’t hesitate to call your AAA Travel expert if you have any questions about Disneyland Resort and all the magic that lies within. They can help find the answers you need to ensure an amazing experience!